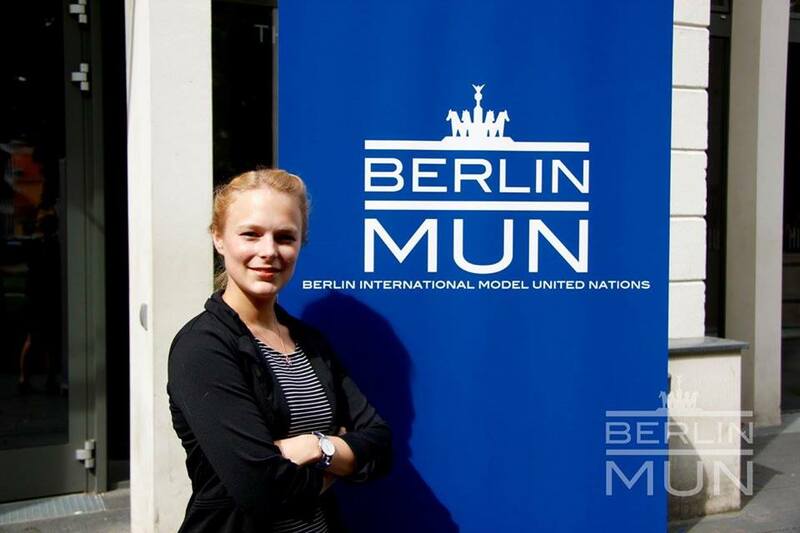 BerlInMUN Delegate Report 2017 | HanseMUN e.V. The HanseMUN e. V. send a super small delegation to the Berlin International Model United Nations 2017: just me. Last year I participated in the European Council as Sweden and the conference was so much fun that I was really keen to go there again. Sure, a conference more far away would be great as well but Berlin has a few points that are quit convincing: it is cheap to get there, the conference is in the middle of the semester break and as a always busy law student perfectly timed, it is most of the time really warm. The conference sessions took place in the Humboldt University which is really modern. The University has been destroyed in World War II but has built up again in a mixture of the old and breathtakingly architecture and new and modern houses which looks really good. All councils are placed in one house so delegates can see each other easily at coffee breaks and lunch. This year I participated as a Journalist at the BNA (Berlin News Agency). I already was a delegate and I wanted to try something new. When being a delegate you stick with your committee. As a Journalist you are free. You do not represent a country but only yourself. The rules of procedure are not applicable to you and you can leave and enter the room when you want – which is necessary as you have to leave the room sometimes really quick to meet your Editor in chief or to take pictures of a punishment where no Journalist is at the moment. But being free is also good for oneself: you can drink coffee whenever you want to – which I enjoyed pretty much. But being a Journalist is not less stressful as being a delegate in a normal committee. As a delegate no one notices when you do not speak up for an hour. As a journalist it is different. You are supposed to twitter everything funny that happens in the committees (and a lot did happen) and you have to write articles. On Monday we released a simple “what to expect” paper where we presented all committees and explained what they are going to do, on Friday at the last edition we were allowed to write about whatever we wanted to write about. The other days were special. On Tuesday we released a paper, which was written out of a communistic point of view. On Wednesday it was right wing and on Tuesday liberal-green. Writing something from the given point of view was fun but not always easy as you were supposed to write about your committee as well. I was in the International Court of Justice from Monday to Wednesday and on Thursday and Friday in the Arctic Council – two awesome and interesting committees! But the ICJ was a court hearing. The case was so complicated I understood it only after two whole days even tough I have read the study guide. And how could I write something right winged about a court hearing? When the newspaper was published it did not look like so much effort was spent on it, but it was. 5 Journalist and 2 Editors in Chief worked hard. The challenges were there everyday: deadlines (on Wednesday two releases as we had a crisis special too), lack of sleep, keeping up with twitter and writing interesting articles which described what the council was doing but from the point of view you were given. But we grew on the challenges. It was totally worth the stress. I saw much more as a journalist then as a delegate not only because you switch committees but also as you exchange with your co-journalist twice a day. Working at the media team was an absolutely new experience which I am more than willing to repeat at an other conference.